Taking to Twitter, Wolfram von Funck announced that he has been working on Cube World, which has been stuck in development for hell for almost 2 years. This tweet was followed by a look at one of the new characters called the flight master, who acts as a way of fast travelling across Cube World’s infinite plains. In addition to this, Wollay showcased ‘shrines of life’, which act as markers you can use when exploring the world to resurrect at. Cube World has become somewhat of a myth amongst the community, with a dedicated group of 5,000 creating a Discord in hopes of Wollay returning one day (which just so happens to be today, and FYI, they’re going nuts right now). Twitter have also met the news with the same reaction, with the original tweet racking up near 2,000 retweets. If you have no idea what Cube World is and why everyone is screaming and running around like headless chickens right now over a tweet, then allow me to explain. Cube World is billed as a voxel-based exploration RPG, created by partners Wolfram and Sarah von Funck. 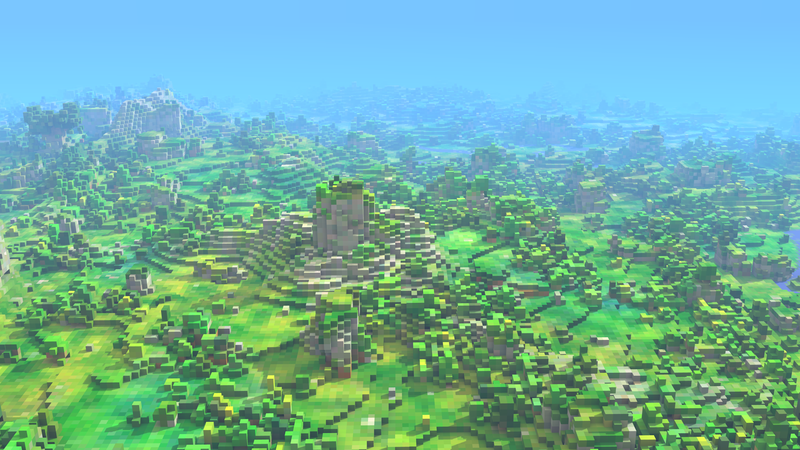 The game boasts an infinite world populated with diverse biomes and blocky landmarks. There’s also dungeons, pets, missions, sailing, gliding, classes, infinite character progression, weapon customization, cooking, multiplayer and much, much more. Unfortunately the option to buy the game was pulled from the Cube World website a few years ago, meaning you’ll either have to wait for Wollay to reintroduce purchases (which in light of today’s events doesn’t seem that far away) or nab a copy from someone who did buy the game before it was removed. The last sign of Wollay (as tracked on the community Discord server) was on December 1st last year, but this is Wollay’s first time showing progress on Twitter, indicating we could be seeing the new update very soon. In the meantime, the community patiently awaits more tweets from Wollay.